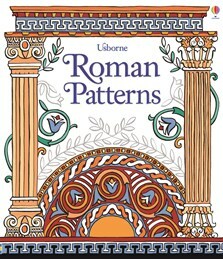 A sumptuously illustrated reference book featuring decorative patterns taken from the buildings, mosaics and jewellery of Ancient Rome. Readers can discover mosaic portraits of the Emperor Justinian and Empress Theodora, the masks from a Roman play, a carved fresco of the gods and more. Each page includes fascinating information about where each piece of art came from, as well as a small example of the colours used in the original. Includes internet links to websites to find out more about Roman life, artefacts and art.